Notes: Carr Mill Station was situated on the St. Helens to Wigan direct line which opened on 21.8.1869. The station opened on the 1.1.1896 presumably to serve the small population that inhabited the area which is only a few miles to the north of St. Helens. 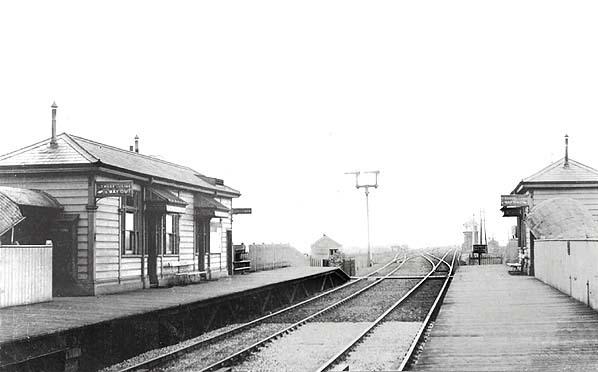 The station closed as a wartime economy measure in 1917 and it never re-opened. The local population has expanded greatly since closure, and for several years, Merseytravel has proposed to construct a new station at Carr Mill as the site is ideally placed near the East Lancs Road to serve commuter traffic with a park and ride facility, reducing road traffic and town-centre parking problems, but funding is still awaited. 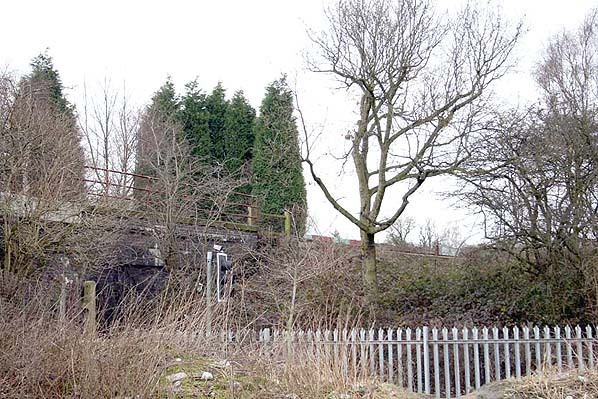 What appears to have been the entrance to the Wigan direction platform remains as an access drive to private premises.